Be sure to pack these must have items for traveling with baby before you go on your family vacation this year. Whether you are packing for a road trip with baby or a flight, this baby travel gear will come in handy while you are on the go. Planning a vacation with a baby means that there is a little more planning and preparation that has to be done than normal. While it isn't any more difficult, it just takes a little more time to make certain that you have everything you need to make certain that your baby is happy during the trip. Keeping travel stress-free is key, no matter how many people are traveling with you, or how far you have to go. The older those in your family are, the easier it is to pack for them, right? Simple clothing items, bathroom necessities, and a few toys and books for your older kids round out their packing list, making them good to go on the journey. But for a baby? It's a little bit longer of a list. Don't get overwhelmed thinking about it, just get prepared to tackle it and make it happen. The sooner you pack, the better you'll feel about your upcoming vacation. 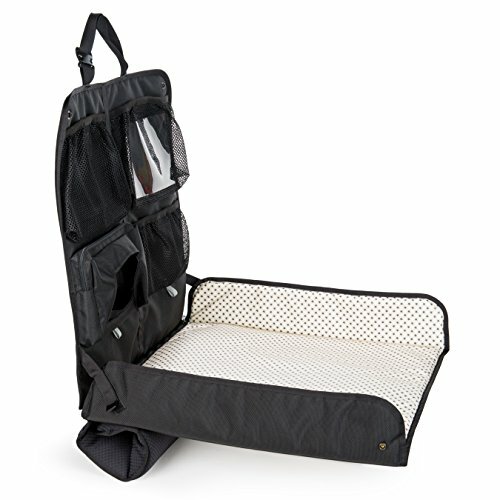 When it comes to a travel crib, weighing in at 13 lbs, the BABYBJORN Travel Crib Light is the lightest and most compact travel crib that I could find. 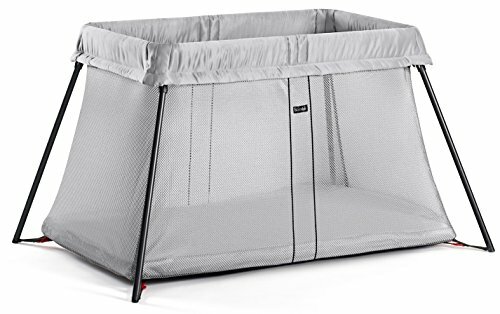 Plus, it has airy mesh sides that make it easy to keep an eye on your little one while they sleep. If you are looking for a lightweight and foldable crib option for your little one while you are on the go, this may be the one that you are looking for. Traveling with a bulky pack-n-play is no fun at all, and this lightweight travel crib may be just the perfect solution. If you are looking for a simple way to store baby bottles filled with milk, breastmilk or formula while traveling, this bottle bag is a great option to consider. The insulated bag can keep bottles either warm or cold, depending on your needs. It's small, compact, and can be clipped easily to your diaper bag, purse, or stroller. Plus, the bottle bag can double as a snack bag when your little gal or guy outgrows bottles. ciao! baby sample provided by company for review. Worry no more about whether the stops along your journey will have a high chair. With the ciao! baby portable high chair you can bring your own high chair wherever you go. Gone are the days of trying to eat a meal with baby on your lap! 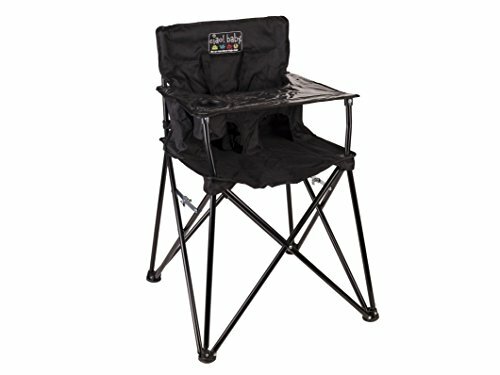 I love how compact and easy to set up / take down this portable high chair is. It is all one piece so no assembly is required. I can open and close mine in a matter of seconds, and it even comes with a handy bag to store it in while traveling. The ciao! baby is perfect for keeping in your trunk not only for when you are traveling with baby, but for whenever you might need it! Having a clean and safe place for baby to sit and eat comes in handy more often than you would think. If your little one becomes sick during your travels, you need to know, right? 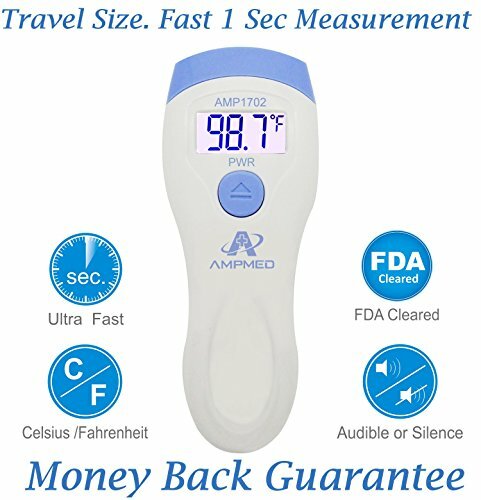 With this no-touch digital forehead thermometer, it's easy to tell if your baby has a fever — even while they are asleep without waking them. Knowing if your little one is sick or not will help you gauge how to assist in helping them feel better, too. Plus, with it's compact travel size, this travel infant thermometer won't take up much room in your luggage either which is alway a bonus. As any mom of a teething baby can testify, teething is a time when little ones where they want to put everything in their mouth. Why not invest in a teething mitten for them to chomp on during those teething moments? I love how teething mittens stay on their hands and off the floors making them a breeze to keep track of. 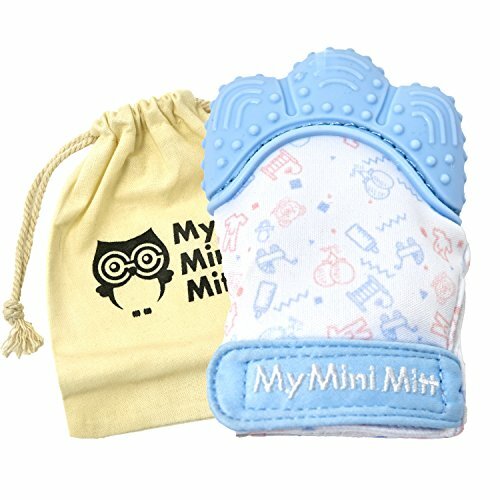 This particular teething mitt comes with a little drawstring bag to store it in when not in use, which makes it perfect for teething relief while on the go. Keep your little one nice and clean on your vacation by packing up these Johnson's Baby travel size bath and skin care products. They're tiny and don't take up a lot of room, making them an easy choice for your travel needs. 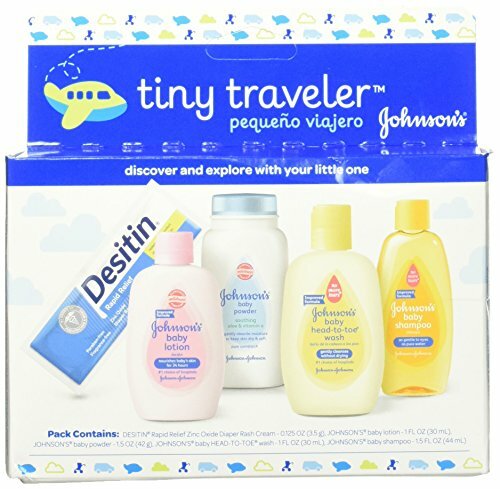 This 5-piece baby travel set comes with Johnson's Baby Shampoo, Johnson's Baby Head-to-Toe Wash, Johnson's Baby Lotion, Johnson's Baby Powder and Desitin Rapid Relief Zinc Oxide Diaper Rash Cream. Let's face it…sometimes those pacifiers end up on the ground. They have to be cleaned before giving them back to your little one but there isn't always a way to do it easily while you are travelling. 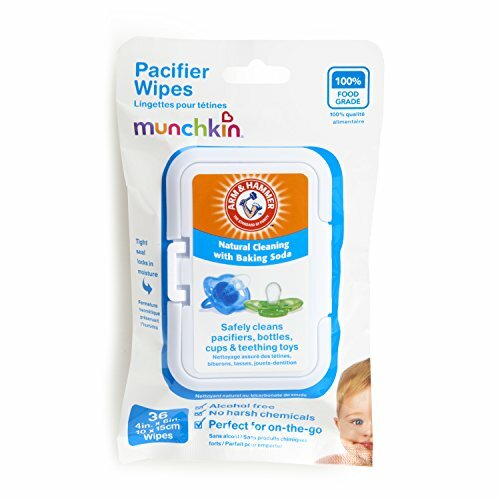 That is why these pacifier wipes are a lifesaver when you are on the go with baby. Pop a pack in your purse or diaper bag for those dropping instances that we've all come to dread. Pick up that pacifier, wipe it down, and just like it, it's ready for your little one again. Beanko sample provided by company for review. Isn't it crazy to think that some bathrooms still don't have a changing table in them? Not the most convenient of options, is it? Take away diaper changing frustration on your next road trip with this portable changing station from Beanko that makes it a breeze to change diapers right in your car. The Beanko Diaper Changing System's unique design maximizes space, keeps baby on a flat surface, and has plenty of pockets to keep diapers and wipes handy. When you get to your destination, bring it into your hotel room so that you will have a sanitary place to change your little one there as well. One can never have too many baby wipes, right? Baby wipes are an absolute must-have for traveling with baby. 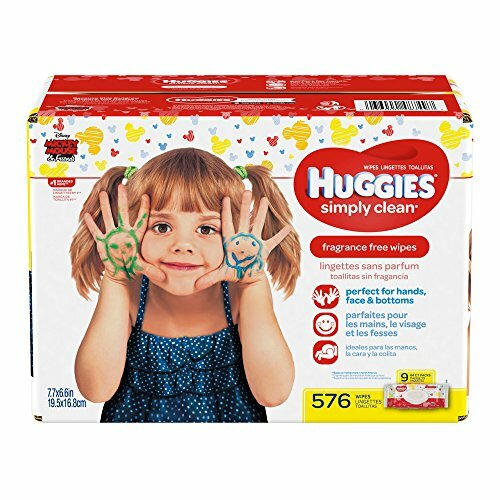 They are not only great for those messy diapers but super handy to keep in the car for spills and other quick cleans that need to happen. You can even use a baby wipe to remove your eye makeup if you are in a pinch! The many uses of baby wipes never cease to amaze me! So before you go, be sure to stash baby wipes in your purse, carry-on, diaper bag, and wherever else you can squeeze 'em! 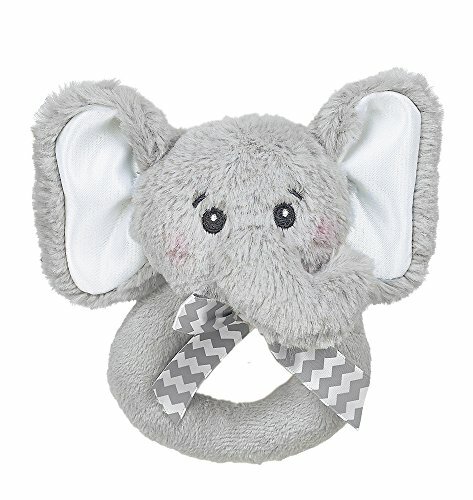 Does your little one have a favorite toy that they can't leave home without? If not, why don't you surprise them with a fun new toy for your vacation? They'll love this rattle and are sure to have hours of play with it along your journey. I find that a new toy can often help to keep baby occupied longer than giving them a toy that they play with at home. Of course, I would make sure to pack your little gal or guy's favorite toy from home as well. The last thing that you need it so be stuck 1000 miles from home with your baby crying for their favorite toy. 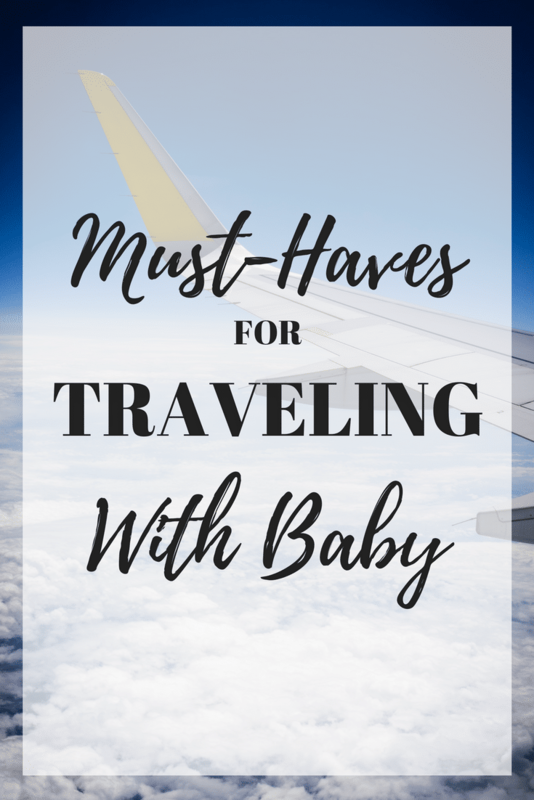 I hope that this list gave you plenty of ideas of items that you can use to make traveling with baby easier. Taking a family vacation with a baby can be super simple! Simply plan ahead and think of those “must-have” items that you need for your trip. If there are certain items that your baby loves, make certain that those make this list as well! Try to pack items that aren't' super bulky, but still provide you with everything you need to be able to function well for you and your little one. The simpler, the better! And remember, if you forget something, you can always grab any extra items at the store! Thanks for this! I’m going to forward this post to my sister. She’s flying 21 hours with her toddler to come visit me really soon!